The major labels are always looking for artists who fit in neat categories, to simplify their marketing efforts. Artists know this, and try to make music that will fit. 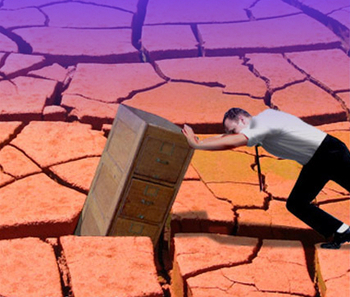 But some artists are driven to make music that falls between the cracks, that fits no musical genre very well at all. Sometimes, there are traces of various musical genres, but combined in unexpected ways. And sometimes there is no genre that can describe the music fairly. Always, these artists show a fierce originality. 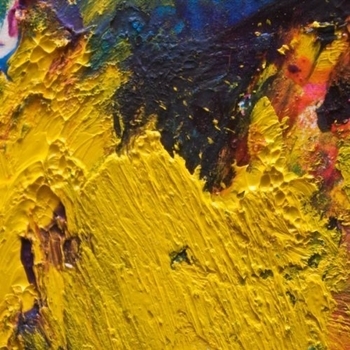 Some of the worst music I have ever heard is like this; the artist creates something abstract, without the slightest regard to connecting with their potential listeners. But some of the best music I have ever heard also defies categorization. Just as the English language is neither French nor German, but is derived from both, this music is a new language, but one that speaks eloquently. 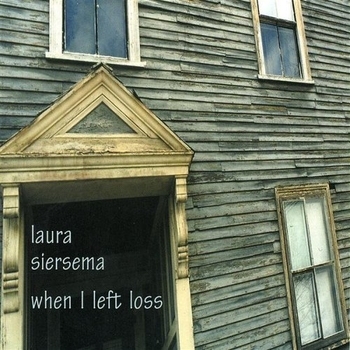 For my recent Jazz Singers Spotlight, I included a song from Laura Siersema’s latest album. It was the sound of an artist who has found her voice. But ten years earlier, the Tampa Tribune said of her debut album, “Folk fans should take note as well as those who like classical and Tori Amos”. Translation: “I have no idea what to call this, but I like it.”. Tori Amos comes up because Siersma sings and plays piano; the classical reference has to do with how Siersma sings; and Siersma does include three folk songs on the album, but does not perform them in a folk manner. Listening to this album now, and knowing where Siersema’s muse would take her, I can hear full arrangements in my head for these songs. What feels like a vaguely classical vocal here becomes a jazz vocal when paired with a full band. I applaud Siersema for letting her music take her where it needed to go. That said, the songs on this first album do stand up as they are. And the spare arrangements help to emphasize what a fine character writer Siersema is. The music of Allysen Callery is almost folk. She plays a nylon-strung acoustic guitar, which is a little unusual, but she plays finger-picked lines that sound suitably folkish. It’s the rest of her arrangements the knock her out of the running. There no drums, but there are bass, electric guitar, and some keyboards. It’s the electric guitar lines that are especially not folk. These are almost like a second voice, and they give these songs an otherworldly air. Callery sings in a voice with a slight childlike quality. And this suits her songs beautifully. If I tell you that Callery’s writing shows her love of fairy tales, I hope you won’t think of Disney movies. Callery knows that fairy tales are richer and stranger than that, and often darker. She conveys a sense of wonder in these songs. Callery also knows that fairy tales convey a full range of human emotions. Like the wonderful illustrations in the Andrew Lang fairy tale collections, Callery’s songs take you to another world. It’s not clear whether that world is within or without, nor should it be. Goth-grass? The title of the album is A Collection of Sounds and Something Like the Plague. The first song opens with a repeating figure on banjo, and the rest of the song forms and mutates on top of that. Later in the album, there is electronic percussion that usually seems to pull against the beat. This is all the work of one man, Peter Michael Miller. Yes, that high voice you hear is a man. This countertenor vocal is no gimmick; Miller really makes it work, and is perhaps the most emotive singer in this post. Miller’s songs start with a simple groove, often on an acoustic instrument, and other instruments don’t so much join in as intrude. Some of the songs threaten to descend into chaos, but it never actually happens. This device becomes an expression of emotional turbulence, and the resolution is not always comfortable. But it is very effective. These are songs of heartbreak, and Miller does not go quietly. But he never pushes the listener away either. 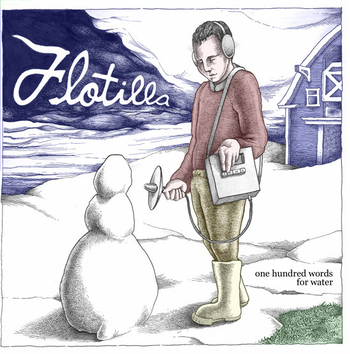 Flotilla’s album one hundred words for water opens with drums, bass, and electric guitar, as well as lead vocals. I think I hear some keyboard in there as well, but still not that unusual. About half way through the song, a synthesizer line shows up that sounds like a calliope. A little odd, but nothing I can’t handle. Towards the end of the song, there is an abrupt tempo change. So it’s a little complicated, but we can still call it rock. But wait, there is a member of the band who you haven’t even heard yet, and he plays harp. And I don’t mean harmonica, I mean harp. The harp produces ripples of sound that radiate out into a room. Flotilla gets this effect with a full band. The music is also intensely rhythmic. Veronica Charnley is the songwriter, and she plays guitar and provides the vocals. She sings in a passionate soprano. One of the songs here is called Ophelia, as in Shakespeare. Charnley writes songs with unusual characters and points of view. She gets inside these characters, and makes us believe in them. I feel lucky to present to you the music of Ljova and the Kontraband. Ljova, aka Lev Zhurbin, is a Russian born violist who has worked with the Kronos Quartet, Yo-Yo Ma, and Jay-Z, to name a few. And he contacted me, to see if I would be interested in his music. 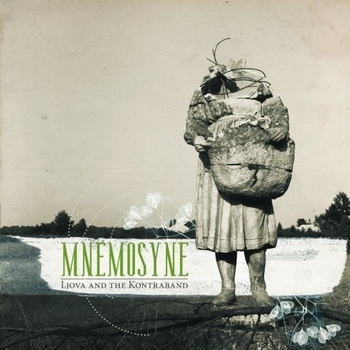 The album is called Mnemosyne, and she was the Greek goddess of memory. The memory here is of a time and place that may or may not have ever existed, but is real in the minds of the musicians. This music is about what their heritage means to them. A diverse group, this means that there are shades of klezmer, jazz, classical, cabaret, and gypsy music, to name a few. That the album makes sense as a whole is a tribute to the talent of all the musicians involved. 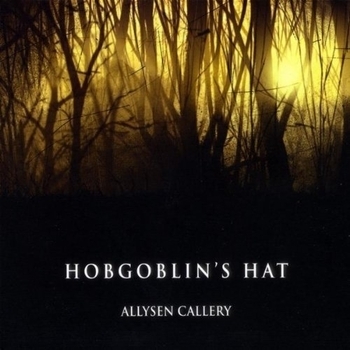 I found Allysen Callery and Hobgoblin‘s Hat absolutely amazing. Thank you so much for the introduction.